It’s proven that water has many restorative properties. It’s used in numerous healing and therapy treatments today. But health aside, there’s nothing better than lowering yourself down into the warm, steaming water of a good hot tub. Inspired by the Japanese Ofuro, the slick lines and contemporary style of the SOAK sets it apart from traditional hot tubs. The designers from ox + monkey wanted to create something streamlined and modern with room for two. 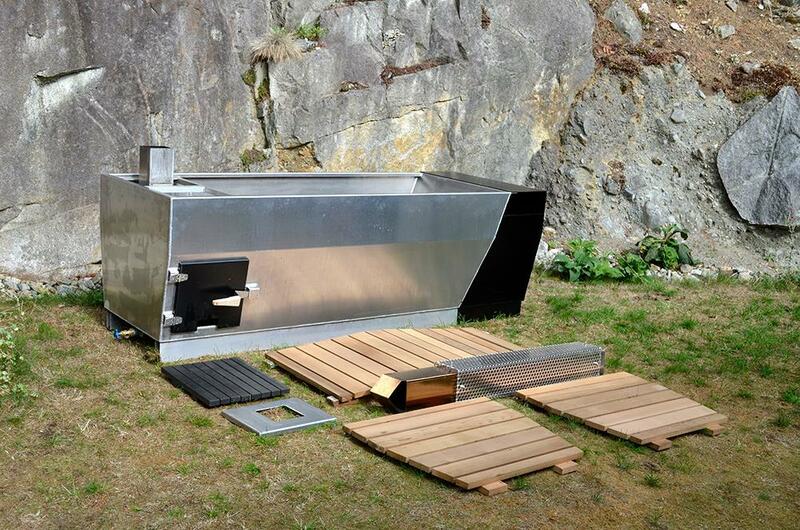 The outdoor hot tub itself is constructed from marine grade aluminum and shaped into a narrow obscured rectangle. Inside, a removable liner of locally harvested red cedar slats is used to provide comfort for those who take a seat. Not only is comfort given by the quality cedar wood, but the earthy scent surrounds you as you soak. 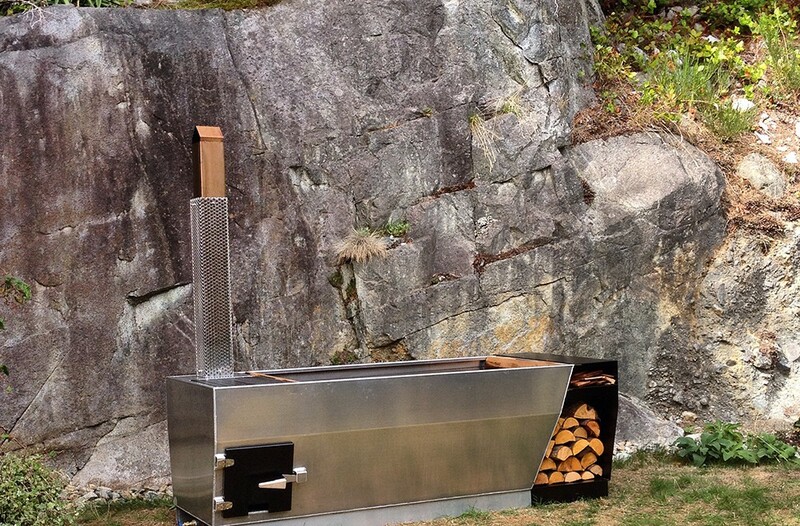 A stainless steel chimney is attached to vent the smoke and steam from the wood fed fire beneath. 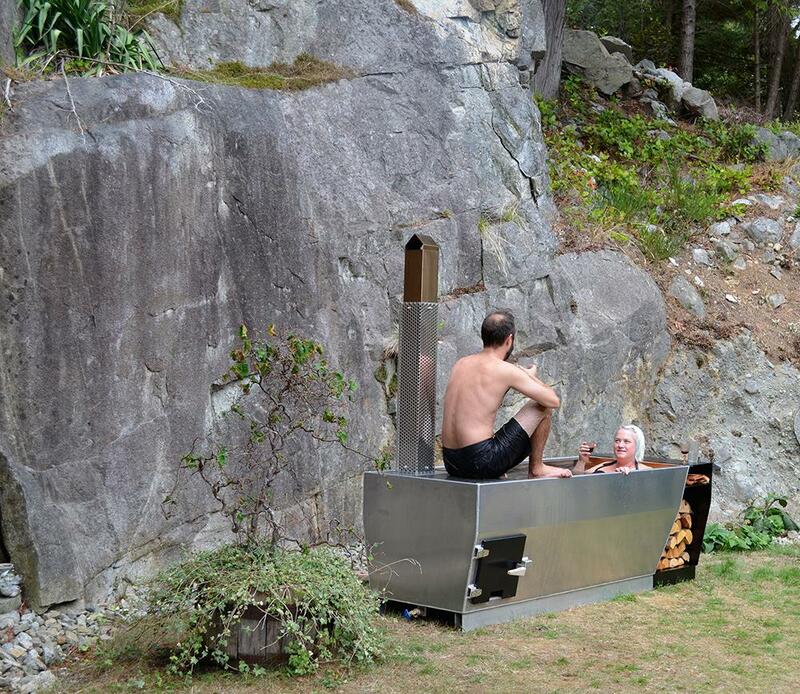 On the bottom of the wood-fired soaking tub, near the back, a nook is available to store extra wood to keep the fire going for as long as you may need. 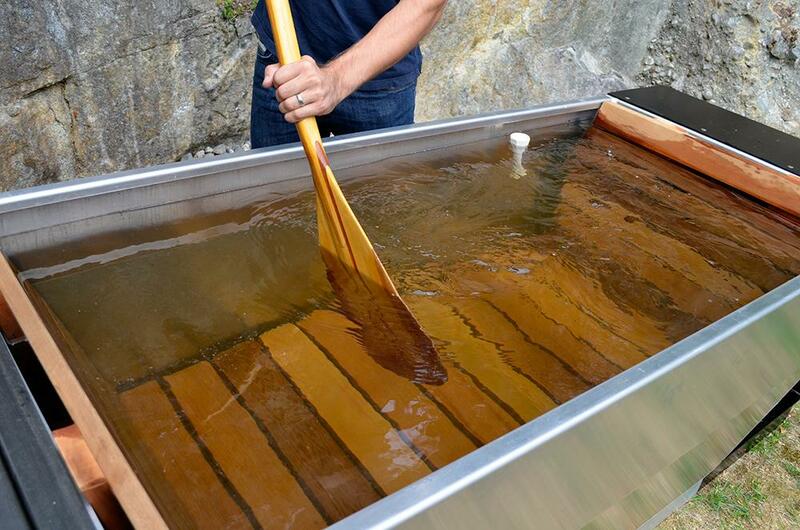 As an alternative option, the SOAK is also able to run on propane gas to fuel the warmth required for a hot tub. 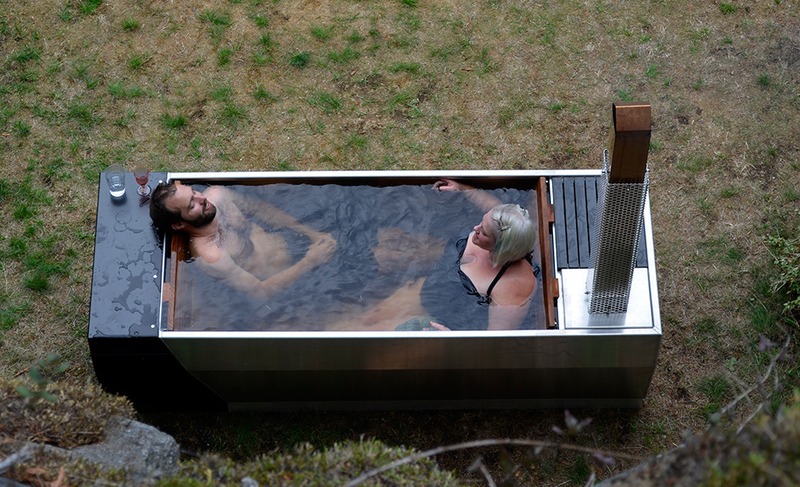 Measuring just 90 inches long, the outdoor hot tub is long enough to comfortably fit one person. 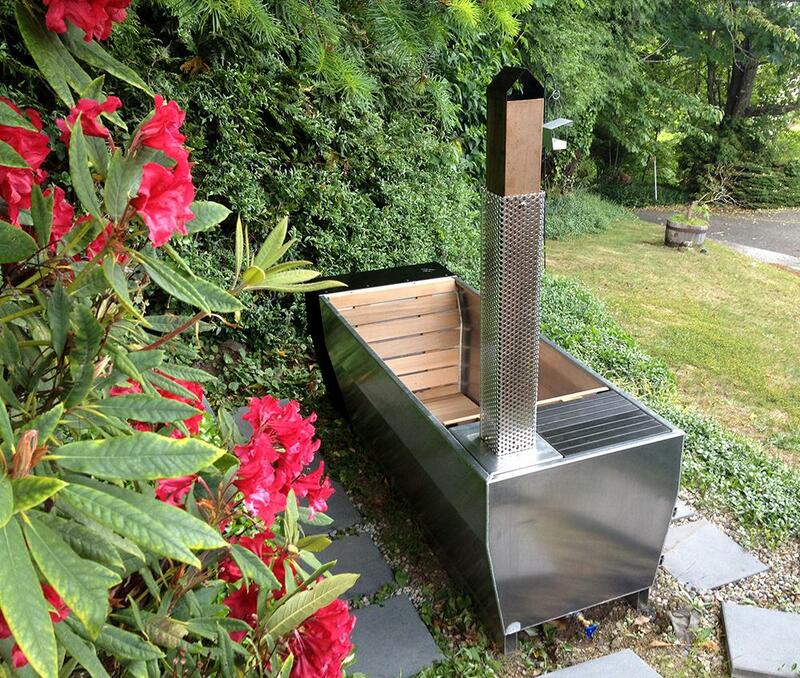 But its width easily accommodates two people. Its lightweight and simple construction make this a perfect addition to any home, cabin, or spa. I know I’d love to have a resting dip in the SOAK. Wouldn’t you?